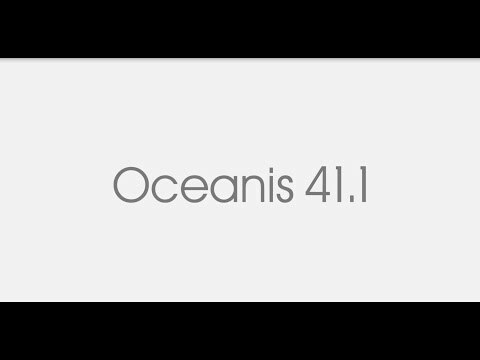 The Oceanis 41.1 is a distillation of performance at sea and on-board intelligence, offering wide scope for personalization. On a perfectly balanced chined-hull, there is no equivalent in cockpit space on any other boat this size. With a mast positioned further back, the Oceanis 41.1 has a sail plan that guarantees excellent balance under sail. Equipped with the Performance Pack (German System and set of Elvstrom sails), this cruiser promises comfortable sailing a very good speeds. Access to the Oceanis 41.1’s harmonious interior bathed in light is by a gently sloping companionway. It offers new features in each of its four accommodation versions. In the two cabin version, the utility room for a dishwasher and storage, as well as a large cockpit locker affording access from inside are examples of details that mark the difference. Clearing space and simplifying life on board, the Oceanis 41.1 layout broadens your cruising horizons. With its double door, bed head facing forward and the choice of an ensuite bathroom, the master cabin is unquestionably the most attractive feature of the Oceanis 41.1. Providing excellent protection under sail, the transom closing the aft of the yacht opens out to provide a huge swim platform. This affords direct access to the sea, while preserving space and comfort in the cockpit. Whatever the woods chosen to create the general atmosphere, the six large hull portholes fill the interior with an incredible amount of light. • 1 Cupboard: ½ Hanging locker, ½ shelves.